Perfect couple? We will see why! Kanye created a $1,140 sneakers for the line. The same brand is used by Kim. She cannot travel without her Louis Vuitton bags. 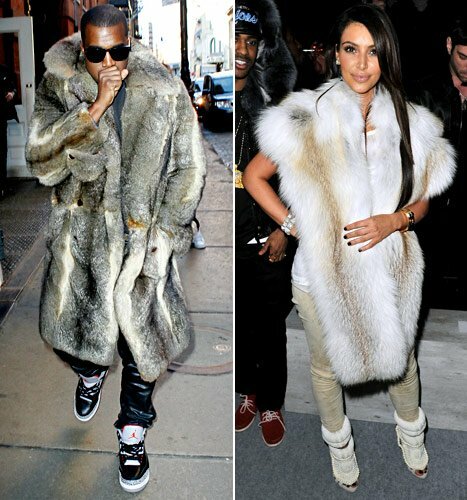 Kanye raps "Tell PETA my mink is dragging on the flor" (song: Cold). Kim says "It’s not illegal to wear fur". She drives a Ferrari 458 Italia at $229,825. He drives a $1 million Mercedes-Benz SLR Stirling Moss. Kanye West and Kim Kardashian are both designers. 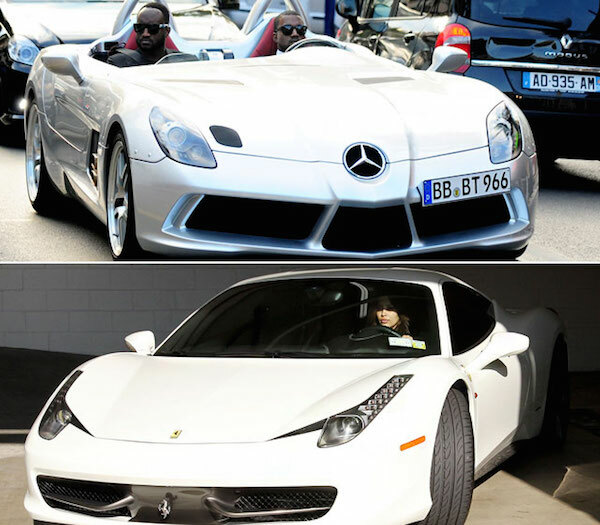 Kim tends to vacation with her family on exotic lands, while Kanye cruises around the glob. Both, now married, travel a lot around the globe. Kanye and Kim enjoy fine dinners. They have been spotted in restaurants like Serafina in NYC. Kanye won several awards, including 21 Grammy. Kim took the People's Choice Award several times. West is a well known rapper/singer. Below, you will see Kanye at the MoMA party. Also in the picture, Kim performing Las Vegas Pussycat Dolls show at PURE Nightclub. Kanye, as a rapper, has won several awards for his music. Kim Kardashian also made a music video: "Jam (Turn It Up)". Kanye starred in the film Runaway. He also directed this film! Kim Kardashian will starred in Drop Dead Dive, and appeared in an episode of How I Met Your Mother. I know, the title says 10 reasons. But an extra, they are married, they have one child, and they are expecting another. Not convinced yet? They are the perfect couple.